Teton Morning. 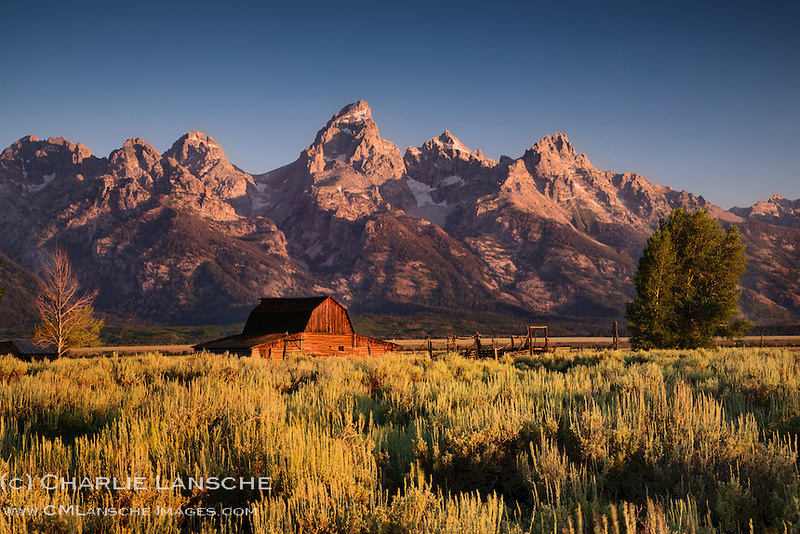 As the snow piles up outside my window in mountains of Utah, I am enjoying revisiting some images from last August when my son and I slept under the stars on the edge of Teton National Park so we could photograph "The Barn" at first light. While we hoped for a a little cloud cover to light up the morning sky, a clear Teton morning is still something to behold. August 2013.